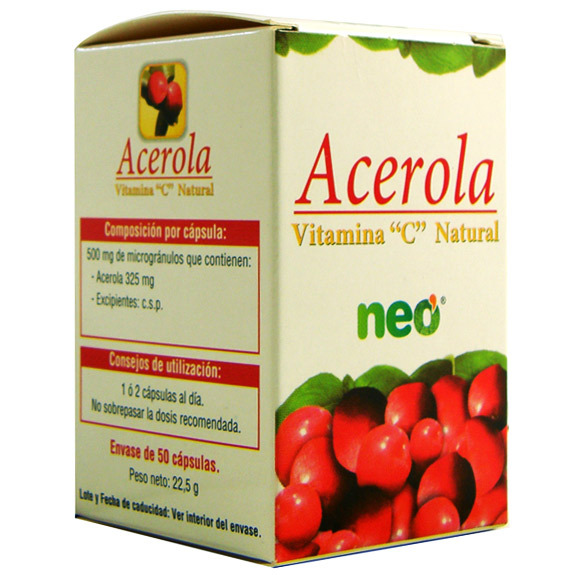 Acerola NEO is a natural antioxidant and a contribution of vitamin C.
mode is recommended to take 2 capsules of Acerola Neo ® a day, at breakfast and at dinner, during 1 month. As maintenance, spend 1 capsule a day, at breakfast. summary of Acerola (Malpighia glabra) standardized to 17% vitamin c): 325 mg.